Paper Made Bakery's the place to be! Yep, there's a holiday for card makers! 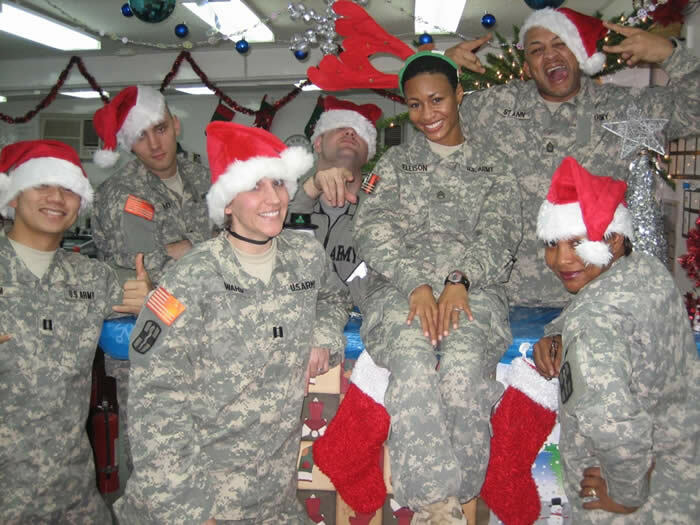 And Paper Made Bakery is celebrating by hosting a World Card Making Day event on Saturday, October 1st from 11:00 a.m. to 3:00 p.m. All our crafty friends will get together in the Paper Made Bakery workshop to create fabulous Christmas cards to send to our troops overseas! As Jane put it, "There aren't any Hallmarks on the battlegrounds", so break out your Christmas stamps, papers, and embellies, head to Scripps Ranch and we'll spread the love! 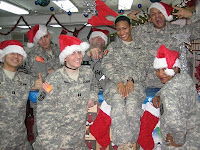 Do good this weekend and make one or 100 cards for our soldiers to send to their own loved ones this holiday season. And, the Paper Made Bakery shop will be open for business! 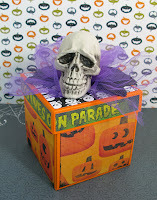 Grab some paper craft goodness at a great price -- come early for best selection! We'll potluck snacks and goodies to share, so feel free to drop by and have some fun. We'd appreciate an RSVP, so click HERE to drop us a note and we'll send back details and directions in return. 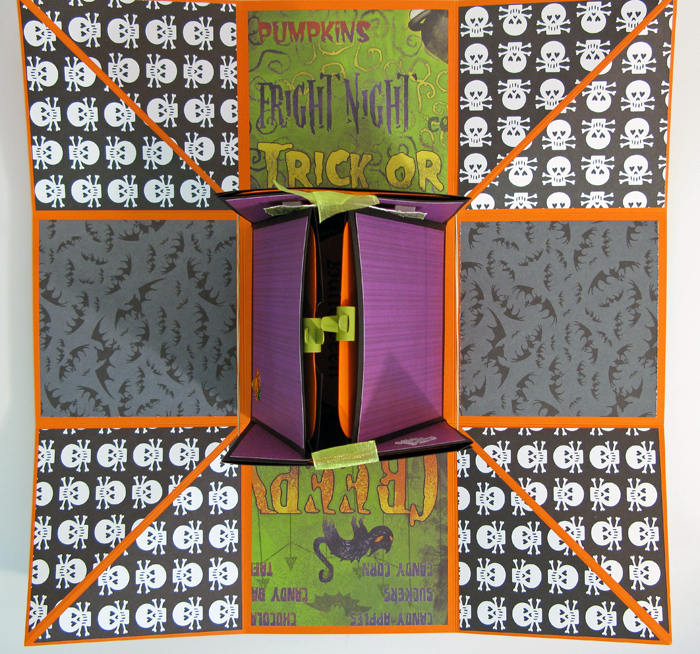 It's getting to be that time of year...goblins will appear just about anywhere, so you'd better be prepared to capture them inside this fun and friendly keepsake! I've created a handy tutorial PDF with all the instructions, plus lots of photos, so you can make these boxes for your friends and family. While they may look complicated, they're really quite simple to make. 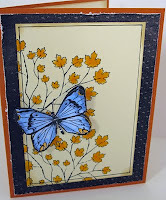 I used some older Karen Foster and Stampin' Up! 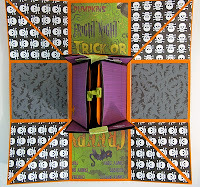 patterned Halloween papers, a Nestabilities die and Martha Stewart bat punch, plus some sheer ribbon, tulle, rhinestone stickers, tiny brads and mini metal clips. You can easily change up the colors of the cardstock and patterned papers to create a fun explosion box for any occasion. The instructions will give you the basics -- try one today! September's been a busy month so far, and we're only halfway through it! School's back in session, fall sports are gearing up, autumn's on its way. 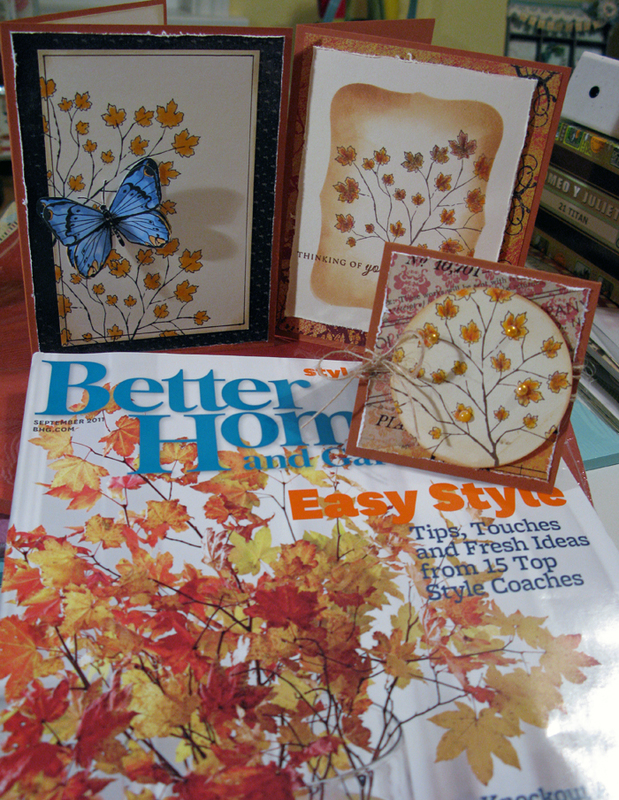 Paper Made Bakery's September Memory Box Card Kit is completely inspired by these things, as well as this Better Homes & Garden magazine cover! Living in San Diego means turning leaves and cool weather take a bit longer to happen than for our friends on the East Coast, so we often turn to paper crafts and card making to get into the spirit and wait for that old harvest moon. Memory Box's Brilliant Maple Branch stamp is the perfect ode to fall and the rich coppers and bright oranges in their "Nightfall" 6 x 6 paper pack, plus the cranberry note cards and matching envelopes, work together to bring out the warm colors of the season. 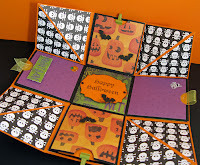 The card designs this month are loaded with fun techniques like reverse masking, 3D pop-ups, lots of layering and gorgeous dies. And let's not forget all the colorific tools like Copic markers, colored pencils, inks and twine. 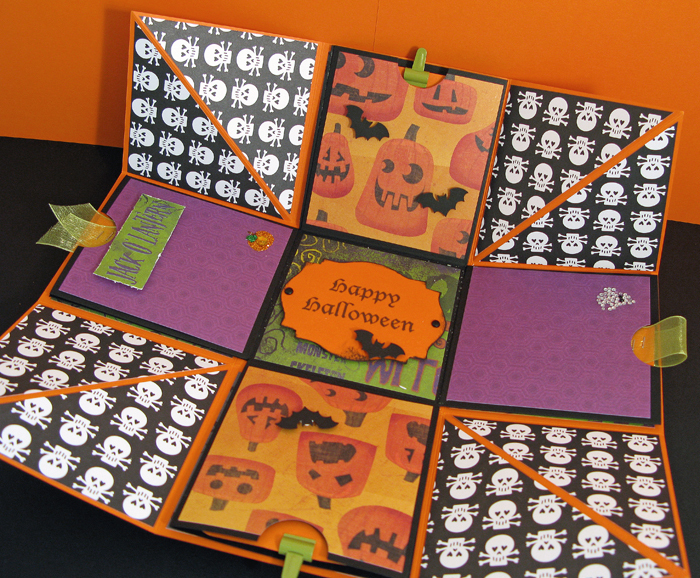 We always throw in some fun card interiors, too. Our kits are sold out for September, but October's kit is on it's way! It's going to feature another Memory Box stamp that will transition us from autumn into winter, and the 6 x 6 paper is a brand new release from My Mind's Eye called "Allspice" -- mmm, can you taste that apple cider yet?! Sneak peeks will be available soon, but since they sell out very quickly, you might want to order yours today! August's Memory Box Stamp Club meeting had to be rescheduled, so the gals are getting together this holiday Monday to celebrate the fact that most of us aren't at the office that day, but getting our creative groove on! 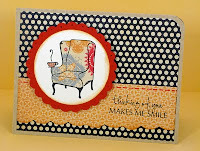 This month's Memory Box Card Club kit included two stamps, a pad of 6 x 6 patterned paper from Cosmo Cricket (Circa 1934) and a 10-pack of kraft notecards and matching envelopes. When I chose the two stamp images for this month's kit my original thoughts were...something to illustrate the fact that an image can be used for masculine or feminine cards and that an everyday item can prove to be simply extraordinary. I think I accomplished this in my choices. 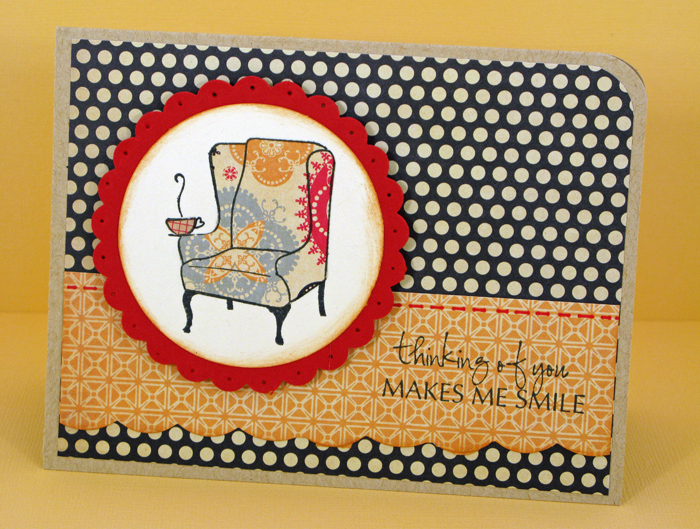 The Cozy Chair and Thinking of You Makes Me Smile stamps worked well together, and the Thinking of You stamp can be used for loads of different types of cards. Don't you love the bonus ladybug image on its side?! Stamps for all seasons -- that's what I love! Whenever I design a class, especially a card class, I try to use lots of different techniques. I always appreciate that when I take a class because I love to learn new things. And even if I've tried a technique before, it's always fun to see the twists others put on it. I dig blackline stamp images so that I can paper piece. And I'm a big fan of "distressing" anything (except my own life! 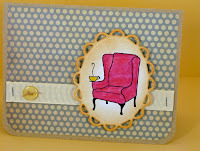 ), so I often use Tim Holtz's Distress Inks. Dies and paper punches? Get outta here! My addiction to these little metal beauties is verging on "needs an intervention"! The next card is very simple, but packs in the tools and techniques! On this card I used a die from the Spellbinders Grand Nestabilities Labels Four to create the elegant and curvy layer on the left. Then to pop in some rustic goodness, I wrapped some natural jute twine around the card several times, looping it through a little scalloped buckle I created using the Memory Box die called Simple Buckles, which includes three different buckle styles that are perfect for any type of paper crafting. 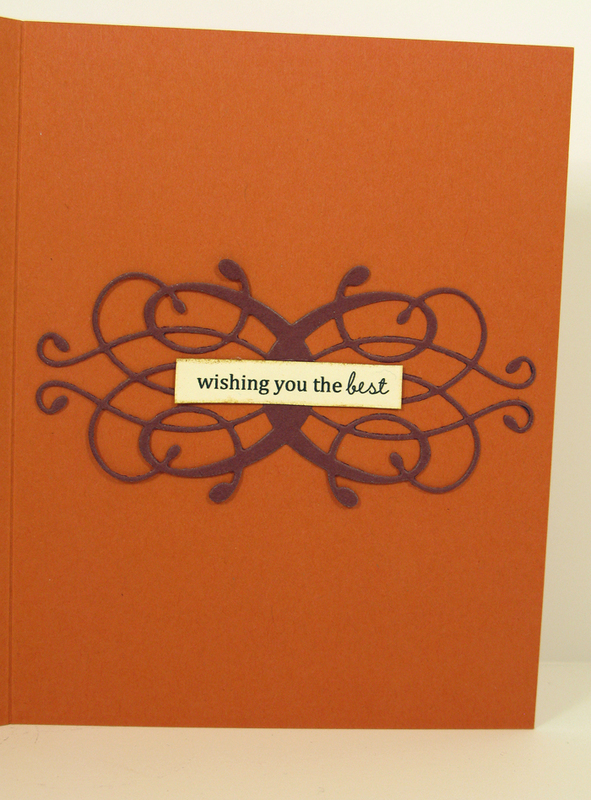 Simple paper strips, often with their edges inked, finish the card front. 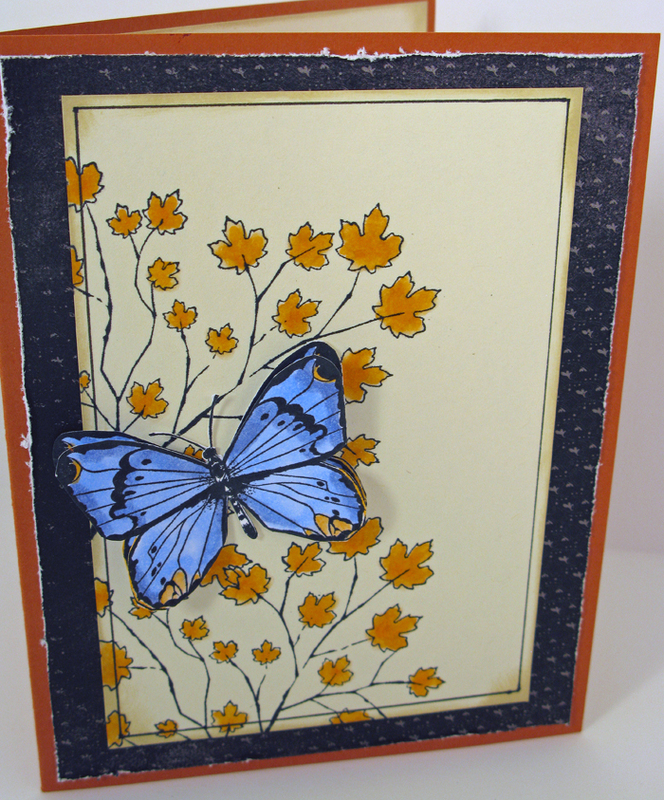 Inside this card, at the bottom right side, I added the little ladybug to bring another smile to the recipient's face! The last card in this class is simply elegant, in my humble opinion. 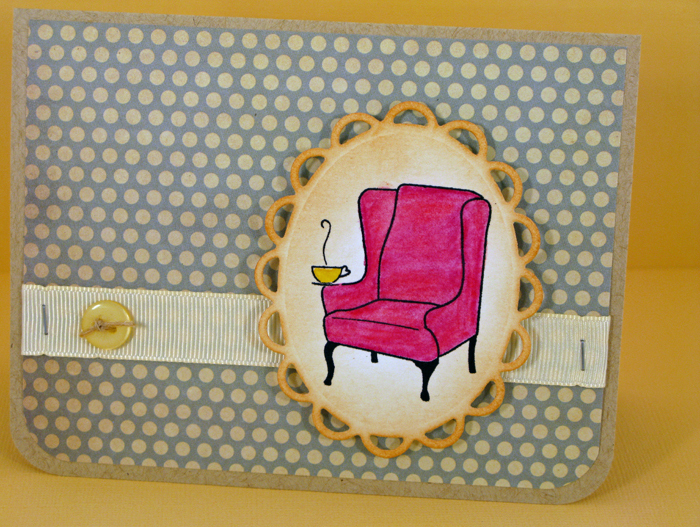 I stamped the Cozy Chair onto a Nestabilities Lacey Oval that I cut from watercolor paper. I used waterproof ink and watercolor pencils, plus my Brush2O to color up this striking image. The edges are inked with Antique Linen. It's popped up with foam tape over a swatch of grosgrain ribbon stapled on each end with a button stitched on. The rounded corners finish this softer design. That wraps up August's kit, and we're sold out so I guess folks like it! September's kit will be out soon -- think autumn. That story will post shortly so visit us again soon. 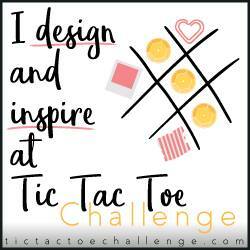 Enjoy your weekend and do something creative!